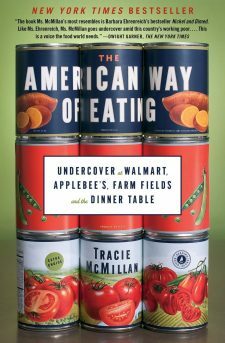 In 2012, she published her New York Times bestseller, The American Way of Eating: Undercover at Walmart, Applebee’s, Farm Fields and the Dinner Table. That work mixes immersive reporting, undercover investigative techniques and “moving first-person narrative” (Wall Street Journal), and argues for thinking of fresh, healthy food as a public and social good—a stance that inspired The New York Times to call her “a voice the food world needs” and Rush Limbaugh to single her out as an “overeducated” “authorette” and a threat to freedom. In 2012, Whole Living magazine named her a “Food Visionary,” building on her numerous appearances on radio and television programs, which range from the liberal “The Rachel Maddow Show” to the “tea-party favorite” Peter Schiff Show. 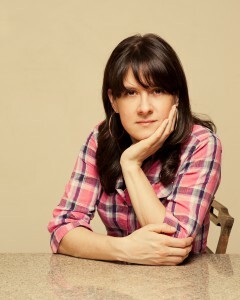 She has written about food and class for a variety of publications, including The New York Times, the Washington Post, National Geographic, National Public Radio, Harper’s Magazine, Mother Jones, Saveur, and Slate. In 2013, The American Way of Eating was awarded the prestigious Sidney Hillman Prize for Book Journalism in recognition of her work’s commitment to the public interest, and a Books for a Better Life Award, a publishing industry touchstone which recognizes excellence in books that carry uplifting messages. AWE was also named a finalist for a Goodreads Reader’s Choice Award; an International Association of Culinary Professionals Food Matters award; an Investigative Reporters and Editors Award; and a James Beard Journalism Award (considered “the Oscars of the food world”). The same year, McMillan won a James Beard Journalism Award for a feature on farm labor she wrote for The American Prospect. McMillan is also sought-after lecturer, speaking across the country about her work and the topics it covers, from farm labor to cooking, America’s growing class divide to eating on a budget. She has spoken at the prestigious Logan Symposium on Investigative Reporting, the Chautauqua Instititution, Seattle Town Hall, the U-C Berkeley Sustainable Food Systems Institute Inaugural Symposium, the Monadnock Lyceum, and ExpoWest, one of the nation’s largest trade shows. The American Way of Eating has also been chosen for numerous community- and campus-wide common reads, including those at Texas A&M University, the University of Northern Iowa, and the Kalamazoo Public Library, among others. The book is taught at universities across the country in a range of disciplines, including a history course focused on neoliberalism; has helped communities successfully fight the addition of a Walmart in their town; and inspired a school food director to demand $10 an hour for all of her staff. In 2013, she was named a Knight-Wallace Journalism Fellow at the University of Michigan, a year after she was named a Senior Fellow at the Schuster Institute for Investigative Journalism. She has taught journalism at Wesleyan University as a Koeppel Journalism Fellow and serves on the awards committee for the James Beard Journalism Awards, where she has pushed for systematic change to foster greater racial, economic and geographic representation in award judges and nominees. Since 2017, she has taught Food Writing: Intersectionality On Your Plate, a writing class in New York University’s groundbreaking food studies program. You can follow her via @TMMcMillan or her book’s page on Facebook.